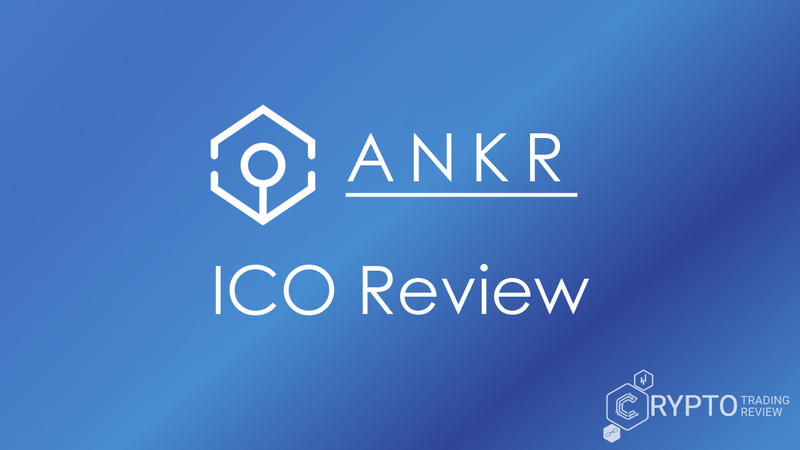 As always, we are trying to make our ICO reviews short, relevant and fun for you so Ankr ICO review will follow the same principals! First of all, let’s just say that Ankr Network ICO is all about cloud computing, a multi-chain structure that supports consortiums, the seamless interface of Oracle service and Proof of useful work (PoUW). As one of the main blockchain technology practical use is lowering the costs of centralized services, Ankr has a solution to this problem in cloud computing. With PoUW it solves the problem of wasting energy, Oracle service simplifies business adoption, and the multi-chain structure thanks to smart contracts prevents tractions from overloading the PoUW-based main chain. As any other ICO, Ankr ICO has a purpose of developing a solution for a blockchain problem, which they find it is most problematic for a blockchain development and mass adoption as well. Let’s see how this ICO differs from many others and whether you should consider investing in Ankr or not. Ankr Network ICO is a distributed cloud computing on a trusted hardware and provides a computation-resource-efficient blockchain and an integrated data feed system leveraging both cryptographic primitives and trusted hardware. Currently has active private presale (hard cap 15,950,000 USD for private presale) and ERC20 tokens. The most important thing to highlight here is that Ankr Network is the first ICO with hardware (among many other ICOs who offer cloud-computing solutions). The other thing is that Ankr assumes over 65% market penetration with their hardware solution (Intel-SGX). If any of this information sounds interesting to you, read more in detail about it and see our personal opinion of the quality of ICO elements included in this review. This ICO focuses on the following blockchain industry problems: resource and data inefficiency, low scalability, inequity, and exposure. Low scalability prevents the blockchain to have the great use in all aspect of everyday life worldwide and to make a new kind of revolution (like the one when the Internet network appeared) in many aspects of human lives and social development. The scalability is the biggest problem that holds the blockchain revolution today. For that reason, we appreciate ICOs that has their own solution for blockchain scalability problem. As the number of ICOs that offers solution for decentralizing some of everyday use online services with the blockchain protocols, the scalability problem is bigger from day to day, because decentralization has a negative effect on the blockchain scalability process, like the fact that the time needed to verify transaction is exceeding, from a few minutes to even a few days or a week! One solution might be to add some more compute power to handle the added transactions. That is where comes the Ankr solution. For described reasons, the second main problems are the consensus protocol problem, or in other words, the Proof of Work problem that refers to (as written in the Ankr whitepaper) the choice of consensus leaders and the problem of allocation of rewards in a fair manner among participants. Third, the problem is the huge energy consumption, while many other consensuses restrict participation or require participants to lock in the stakes of the blockchain. Let’s see how Ankr aims to solve those problems! Bonus information: Ankr ICO offers some great solutions that could make the real difference in the use of blockchain, but before making any pre-conclusions let’s analyze their solutions to see if they could make these solutions the real thing and if they have the potential to maintain the quality of solutions in the future! Above-mentioned problems Ankr aims to solve with solutions like novel incentive scheme, distributed computing power, reliable Oracle service, guaranteed security and confidentiality, and the speed and scalability enabled by the plasma-chain implementation. In other words, (we promised to make it simple, so here it goes), Ankr ICO Network aims to solve these problems by enabling distributed cloud computing and user-friendly infrastructure for business apps. The key is in a resource-efficient blockchain framework that enables every of just mentioned solutions. When it comes to security and confidentiality, the key to this solution is in the trusted hardware and the cryptographic primitives/algorithms that are a foundation of protocols and computer security systems. The following title text is accompanied by a visual representation of the Ankr ICO solutions, so make sure to look at them closely. We gave you our feedback (opinion) to every one of them, so pay attention to those parts of review in the following lines. At this point, we must remember that the Ankr Network ICO is described as a ‘trusted’ hardware. ICOs solutions of the above-mentioned blockchain industry problems are actually the technology innovations, of which most important are consensus protocol solution and hardware product. At some of our previous ICO reviews, we already stated that even though the past hardware ICOs did not really have the opportunity to show the advantages of physical blockchain device, the future of blockchain is in hardware solutions combined with blockchain technology improvement. This particular ICO for that exact reason took our attention. It is worthy of our attention, time, and effort. Let’s summarize key technology innovations of this ICO: proof of useful work consensus protocol, distributed cloud computing (DCC) platform, the seamless interface of Oracle service, the multi-chain structure supporting consortiums. Take a look at the following image. The image shows the PoUW consensus and the way it is designed. This solution resolves the blockchain issues like earlier mentioned huge energy consumption of current blockchain platforms, ensures security and confidentiality, and enables extra reward for generating the blocks for every computation contributor. Proof of useful work is one of the most important Ankr Network solutions. Components of Ankr’s PoUW are blockchain agents, useful work providers, and miners. Blockchain agents collect transactions and generate a block template without proof of useful work, but after the miner provides the proof and adds it into the template, the blockchain agent validates that proof, publishes the block to the blockchain, and then receive rewards for that work. Useful work provider has a purpose to supply miners with tasks. The provider receives the task result, and Ankr provides him with tools for transforming SGX code to a PoUW enclave. Finally, miners take useful work tasks and the template as inputs, then they launch SGX enclave to load and run tasks, and after it is done, results are returned to the providers. In order to finish this cycle, a miner must meter the task and decide whether the work won the consensus leadership or not. If yes, the miner will generate a PoUW, which includes an Intel SGX-produced attestation and some other attestation to demonstrate the task was finished in an appropriate way. Finally, the point of miners is that they must use their resources to encrypt and decrypt the parameters in the datagram’s request. Every single user in the Ankr Network will be rewarded for contributing in the described way. The next solution is the Oracle service, that has a great useful function in the market for all businesses, and that is exactly what will make these ICO solutions wanted in the market worldwide. Oracle service solution enables mass adoption of apps for business use. Centralized Oracle is the most commonly used approach in many blockchains, but it has some negative functions (as low resistance and security), so the Ankr ICO aims to solve existing Oracle problems by decentralizing it. On the other hand, multi-chain structure (image below) allows different applications to handle application-specific smart contracts on individual side chains, preventing transactions from overloading the PoUW-based main chain. That way Ankr Network ICO can provide a native authenticated data feed service for off-chain data to relay to each child chain. Existing business can build decentralized autonomous applications on the child chain with powerful computing power and native data feed service provided by the main chain. At this point, it is important to highlight the Intel SGXs that allows application developers to protect sensitive data and enables applications to preserve the confidentiality and integrity of sensitive code and data without disrupting the ability of legitimate system software to schedule and manage the use of platform resources. SGX stands for Software Guard Extensions. SGX is a new set of instructions that permit execution of an application inside a hardware enclave, and it guarantees that system calls are executed correctly and securely. Ankr ICO uses the SCX CPU mining platform to reduce the barrier to entry for miners, minimizing the likelihood of monopolies forming with mining pools. Finally, the purpose of Ankr ICO solutions is to help the blockchain to be used worldwide in every aspect of human living. Sure, the existing invisible Internet will be replaced with physical machines/hardware’s and thus the great use of blockchain will be enhanced. It is just a matter of time when that will happen, but the fact is that the blockchain in its state today needs hardware to operate in a useful way (for the community in general). It is just a matter of time when the good product will be launched on the market and if it will have the right partners and team/advisors to manage such an initiative. Ankr’s blockchain framework can support an ecosystem of decentralized autonomous applications that include global P2P payment system, personal credit system, and most importantly, tokenization of real-world assets that were once illiquid (sublease rental contract, real estate ownership, art piece, wine, etc.). 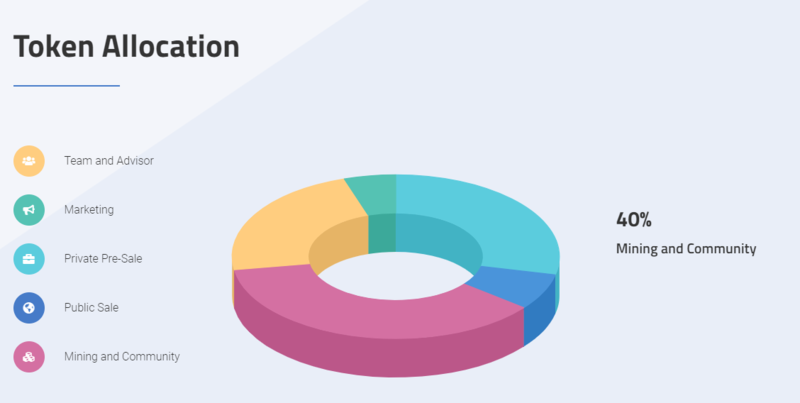 First we must say that, for now, we don’t have any other information about token sale except the information that we already gave you at the beginning of this review (private presale is active right now, with the total hard cap of 15,950,000 USD), which means there is no information about pricing, bonuses nor about ANKR sale process. Instead, we will tell you some basics about how to use Ankr tokens and if there will be any charges for using the Ankr Network services. We promise to make it short and interesting (as much as ICO allows us to do so). As you can guess, the purpose of Ankr tokens is to store and to transfer value. The main use of Ankr tokens is to incentivize engagement with the Network and, secondly, they can be used for the computation fees of PoUW. We already stated that the main problem which Ankr aims to solve are big prices of this kind of centralized services, which means – huge fees. The point of Ankr’s ICO Network solution (from an investors point of view) is not exceptionally to enable you to earn some tokens while contributing to the network but they will charge you some tokens for using the service. Still, those ‘token’ fees will drastically lower than at the centralized networks. We guess you are wondering how to earn Ankr tokens? Of course, the answer is, by contributing to the Ankr Network. Every mining participants will get a reward in tokens by contributing their computing power. The more you participate, the more tokens you will earn, and then you will be able to acquire more services in the ecosystem, triggering further computation needs. Before mentioning the list of team member names, we must say that we noticed all of them have a nice experience in the field they do for the Ankr Network. It is interesting to see (for a change) ICO with the team full of real experience in some of the world biggest companies, which makes us wonder what can we expect of advisors if the team itself is nicely experienced. Chandler Song (CEO) is the co-founder and CEO of Ankr, studied at UC Berkeley and worked at Amazon. He has blockchain experience, too, but the only information we have about that field is that he was a member of Blockchain at Berkeley organization. Stanley Wu is co-founder and CTO, he led tech at Amazon and has more than 10 years of experiences in large-scale cloud services. It is noticeable that both of them worked at Amazon, so they probably were colleagues before starting this ICO, and learned to work and make decisions together. Yan Xiu is a system architect at Ankr and in the same time works as a principal engineer at Gigamon and is a senior software engineer at Hitachi. Quanlai Li is blockchain engineer at Ankr Network, a software engineer at Uber, and committee member of Symposium of applications of the blockchain. Hanping Lin is another Ankr blockchain engineer is advisory storage engineer at IBM and works in IBM RTC Lab (he has a LinkedIn profile so you can read there more about his experience). ICOs actually rare have blockchain researchers in their team. Obviously, in order to run an ICO, it is necessary to make researches of key questions but not every ICO finds that role of a team member so important to include team member with that position in ICO on their website. Stephen Liu is the blockchain researcher for Ankr Network. Christina Jin is the marketing director and Rahim Noorani business developer. This ICO has a software engineer intern and UI designer, as well. If we would want to conclude one single thing from Ankr team than it would be the fact that when it comes to team selection, Ankr ICO didn’t miss any field but had everything in their mind from the very beginning. 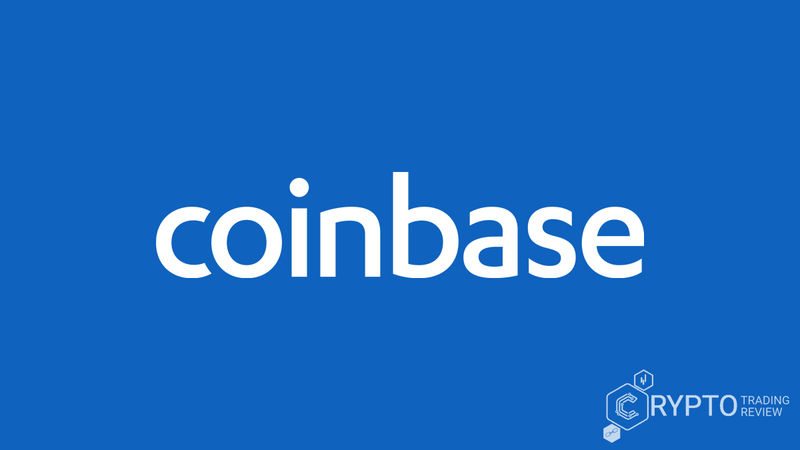 That is an obvious sign that they are serious about their purpose in the blockchain industry and are very decisive about their goals. One of the advisors is David P. Anderson who got the NSF presidential young investigator award, and is a creator of the BOINC project and SETI@home, plus, he worked as professor assistant at UC Berkeley for 7 years in total (try to google his name at Wikipedia!!). Ankr has a legal and technical advisor (different people), and the last one is the founder of PDX (funded by Lenovo Capital). Besides technical advising at Ankr, he is a principal engineer at Cisco, Microsoft, Blackberry, and AT&T! As said earlier, the team is great so we could not expect anything less from advisors either! There are four advisors and all of them works at multiple projects and companies, of which all are highly successful in their business field. Such detailed team and advisors descriptions were necessary because it is actually hard to make ICO conclusion without information like token distribution and funding and token price and little information about the use of ANKR tokens. 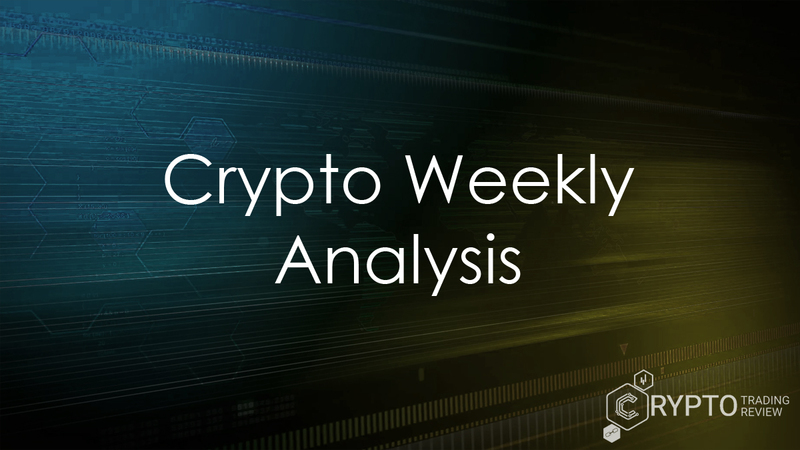 Because of that, our focus was on the team and advisors analysis to make sure we have a good foundation for Ankr ICO conclusion about the quality and industry potential. The conclusion about this section of the review is that the team and advisors are great; they have experience in fields in which they work within this ICO, and some of them work simultaneously in other firms that are successful worldwide. We must rate hype of Ankr Network as very high. Even though Ankr is not present at a lot of different social networks, but only at the Reddit, Telegram and LinkedIn, their hype is actually great. LinkedIn and Reddit users’ show interest in this ICO, but Telegram group is the most popular. There are the biggest number of people interested in Ankr at Telegram (45,252 members) at the Ankr Network Official and 18,475 members at Ankr Network Announcements. That is a good number for an ICO that makes solutions similar like some other ICOs (for example, there are many ICOs with cloud computing solutions), but Ankr is still recognized as an ICO that offers combined solutions for different blockchain problems in a quality and new/innovative way. Could this contribute to Ankr’s success in the market? Let’s see what the roadmap looks like and if we can get anything out of it. ICO started in the last 3 months of 2017 and will end in July 2018 with prototype release. At the end of Q1 2018, this ICO ended with project research phase that lasted for about six months and has started with Proof of Concept in April. As stated earlier, private presale is active right now (July). The prototype is expected to be released at the end of July 2018 if this ICO will succeed in its funding goals. The roadmap is very simple and understandable. Still, it would be nice if it were just a little bit more detailed. In conclusion, we can see that the ICO has a roadmap for a year and 3 months, which is expected and recommended time for an ICO that aims to develop this kind of blockchain solutions. As the roadmap is not telling us a lot of information, it is hard to make the conclusion about this ICO based on given information so we will pay more attention to the investor’s analysis. Are There any Important Investors? Sure. Still, some Ankr investors are more popular than others, but in the end, we can conclude that all of them seem to be successful investors who often make strategic decisions when making any type of investments. If they invested in this ICO it is obviously an ICO with nice growth potential in blockchain industry. Some of them are OK (Blockchain Capital) and MW Partners which are very important, and most of the investors are actually investment companies. Even though we expected to see more blockchain based partners/investors, this kind of investors are not bad at all! Ankr partners are CPC, DoraHacks, and Blockchain at Berkeley. All of them are very important for the success of Ankr Network ICO, but we dare to say that Blockchain at Berkeley has somehow big influence on the quality of Ankr final solution/product. Of course, Ankr solution does not depend on Blockchain at Berkeley, but as it is a student-run organization with a purpose of promoting blockchain and teaching and informing people about everything in blockchain industry, and they are recognized in this industry by their quality and knowledge, for now that partner influences the Ankr ICOs success more than CPC and Dora Hacks. Blockchain at Berkeley works with other companies to help them develop strategic approaches to implement blockchain technologies, but besides consultancy, this partner does the research and development. The fact that Ankr has such a partner says a lot about that ICO, so when talking about partners’ quality, we must conclude that this is a good choice of partners. There are few solutions that Ankr Network ICO offers, but most importantly – Ankr has a solution for electricity problem that prevents many blockchain consensus protocols (e.g. Bitcoin, Ethereum, and others) of reaching their full potential! Each ICO offers some kind of solution to the existing technology blockchain problem, plus, they have a solution for some side problem (like big fees for Cloud services) that can be solved with blockchain technology. In the same time, decentralization of these ‘side services’ is the result of every ICO that succeeds in launching their idea. The result is even worse scalability. In the previous text, we showed you how Ankr Network ICO does aim to solve this and few other problems, but we can say that this problem/solution is the most important one when it comes to Ankr ICO. The other thing to highlight is the great use of Proof of useful work, and it is the possibility to recycle energy that miners bring to the system, to offer it to someone who is willing the pay for that energy. That is where the “computation-resource-efficient blockchain” from the Ankr ICO description comes from. Secondly, we saw that Ankr ICO has truly great team and advisors for every single solution that this ICO has. That means that on the one side we have the solution that solves the biggest blockchain problem, and on the other side, a great team of people with nice experience in fields that they maintain within Ankr. That sounds promising, doesn’t it? This ICO does not have much token information available at this moment. To be honest, we cannot say why that is so, because according to their roadmap, the ICO project is soon ended, and yet, they did not announce this kind of information. Private token pre-sale is active now, so we must often check if there is any new information to make sure we do not miss a token sale when it starts (in september). Our first impression is that Ankr ICO focuses on their solution. The thing is that Ankr ICO has great hype in the media, plus a great team and a useful blockchain solution, which means that for now, many people recognized their real market potential, and now Ankr team members are just making sure that once they launch their solutions and once the people start using it, that there are no irregularities, system crashes etc. We believe this kind of ICOs has a real potential to make some differences in the blockchain so we will give this ICO a chance.